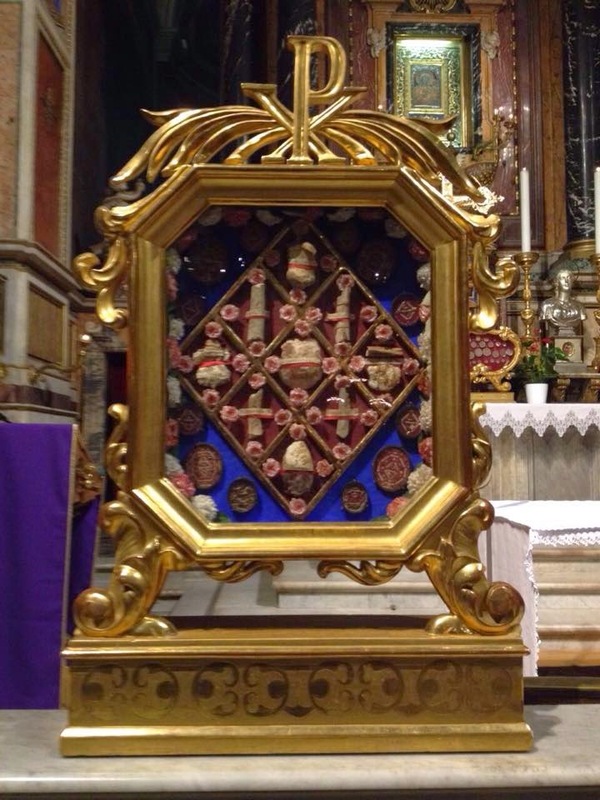 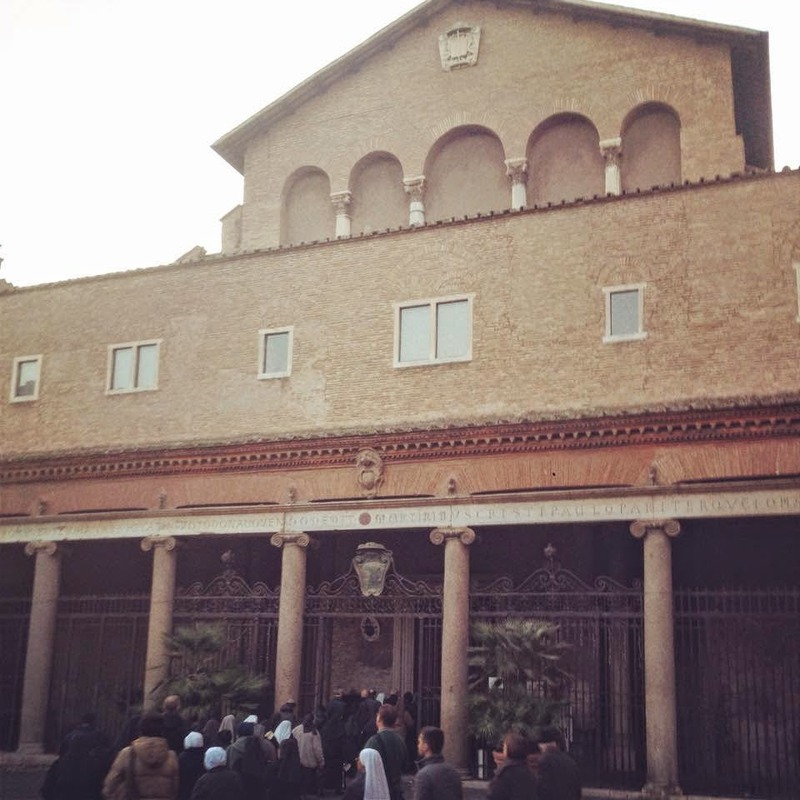 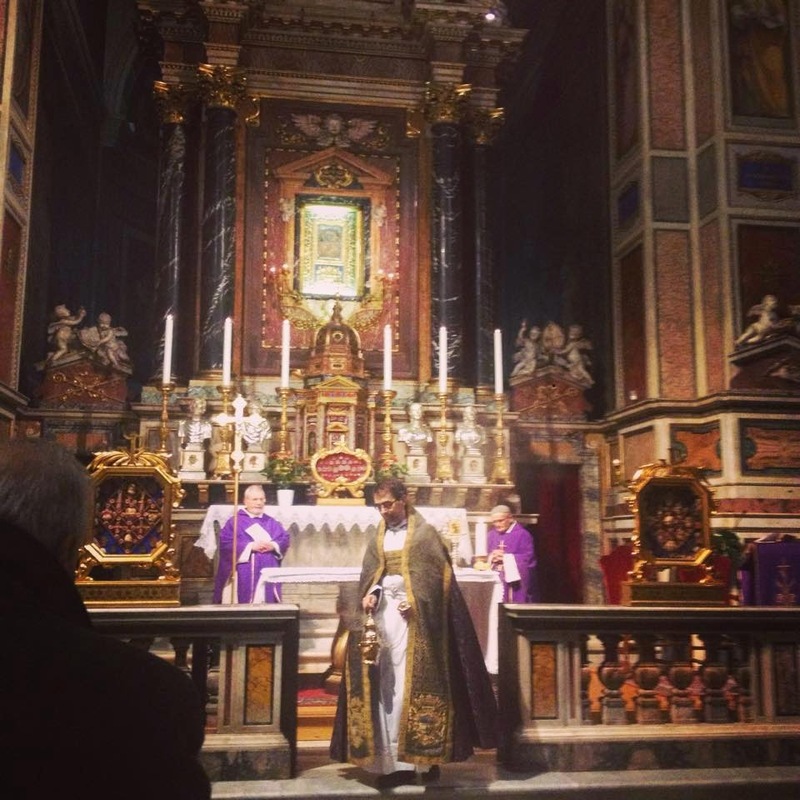 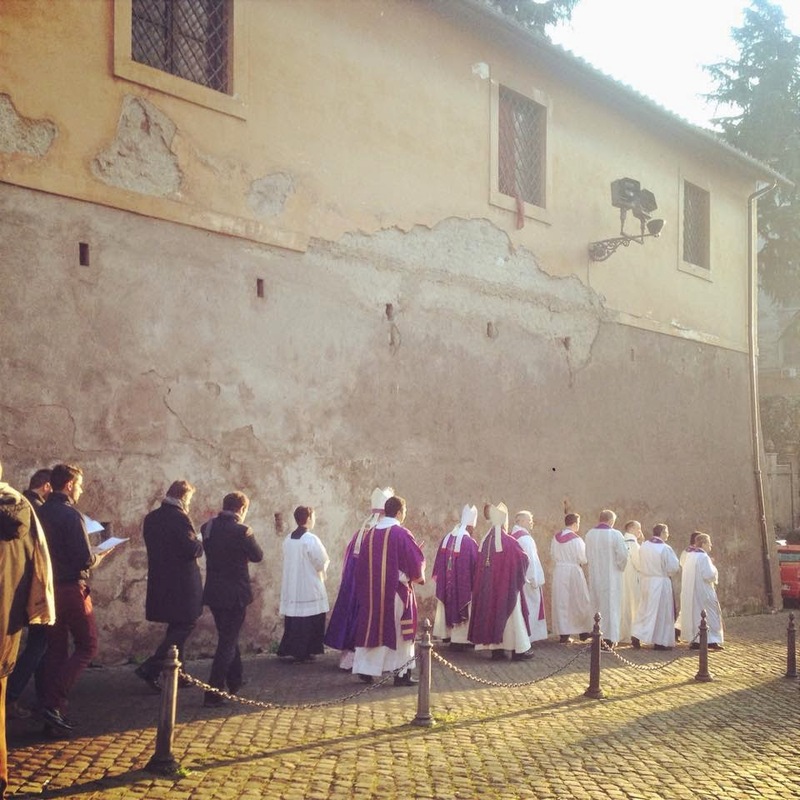 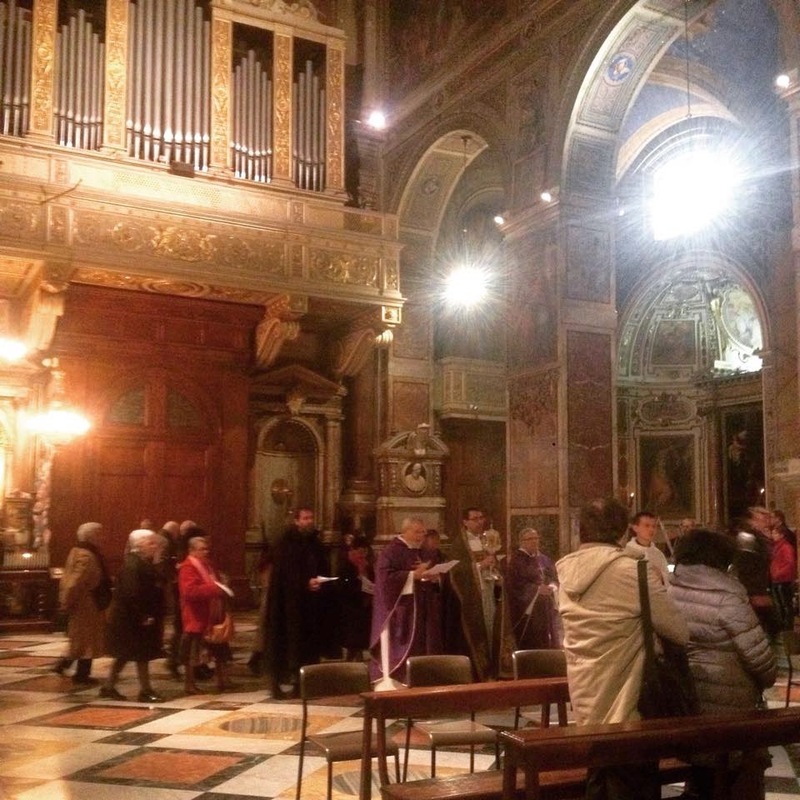 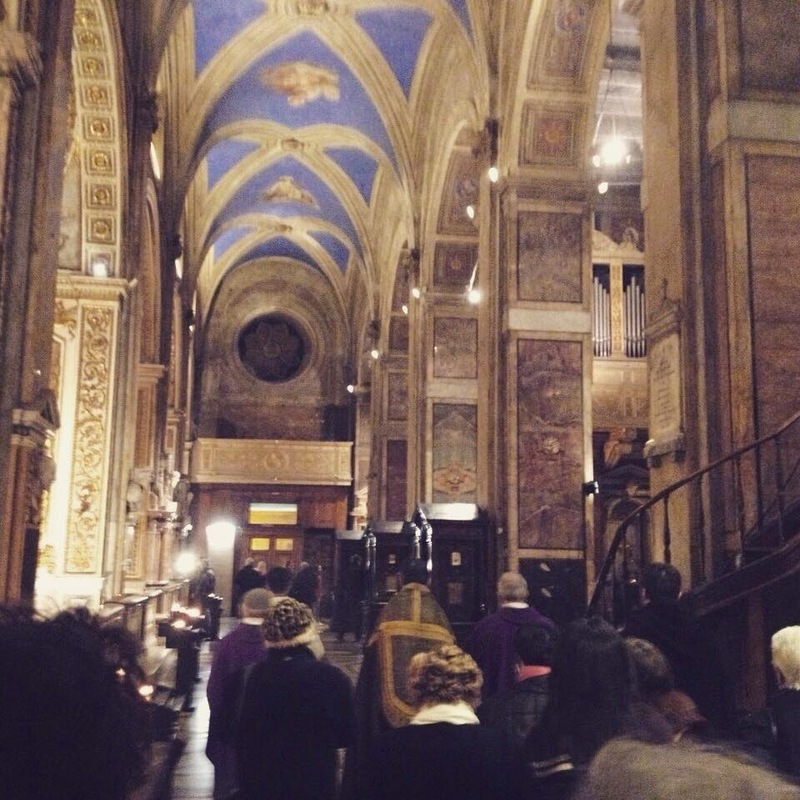 As she did last year, my friend Agnese is attending the Stational Masses organized by the Vicariate of Rome throughout Lent, and has once again very kindly allowed us to share her photographs of them. 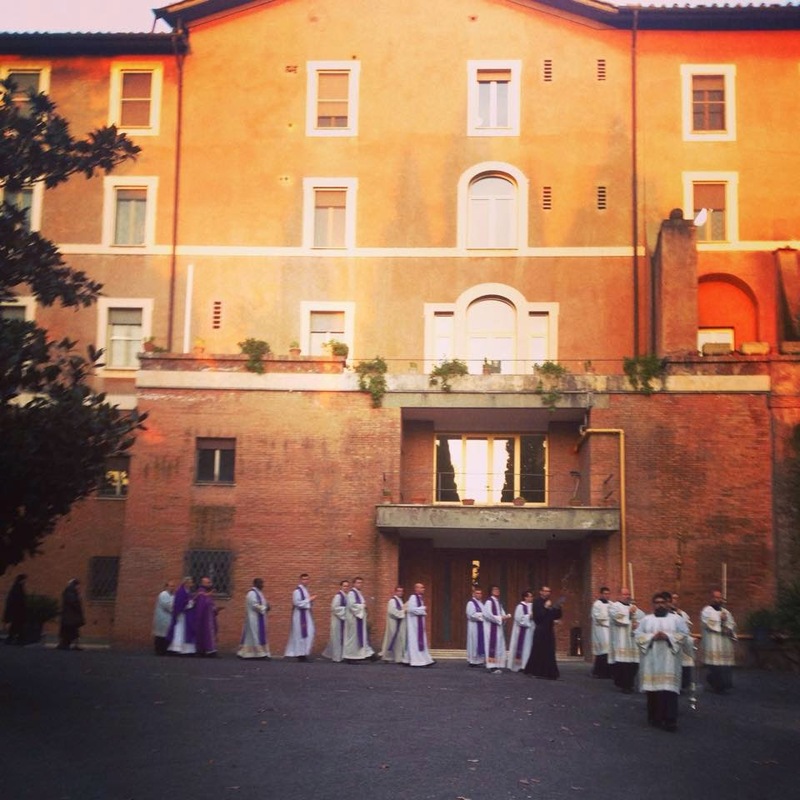 A procession is normally held before the Station Masses, which, in accordance with the traditional Lenten discipline of the Church, take place in the evening; many of the churches bring out large numbers of reliquaries and place them on the altar, or somewhere in the church to be venerated by the faithful. 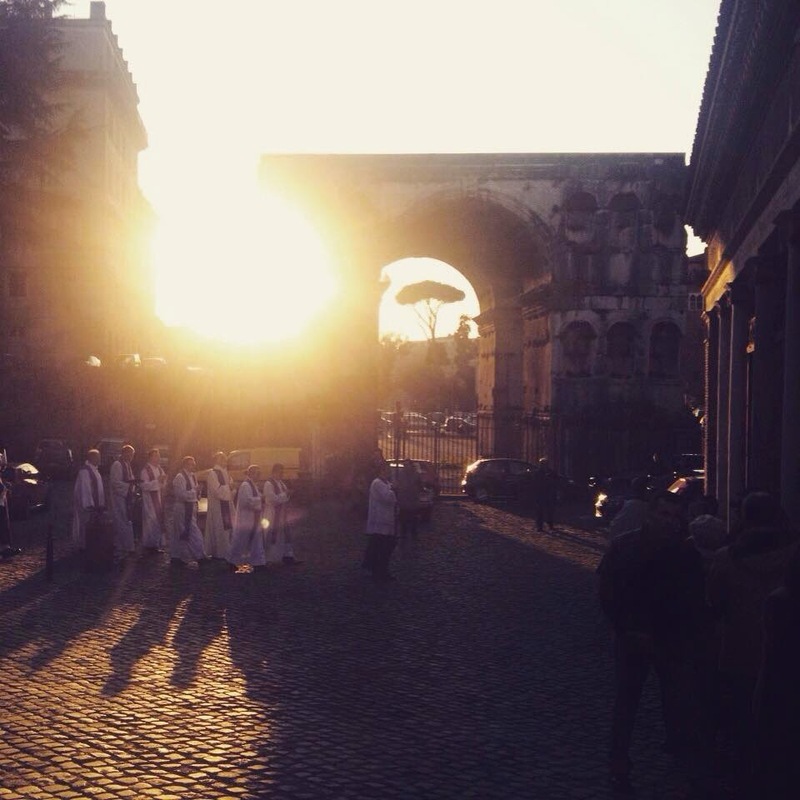 The structure in the background is called the Arch of Janus, but was probably a triumphal arch dedicated to an Emperor of the early 4th century, possibly Constantine or one of his sons. 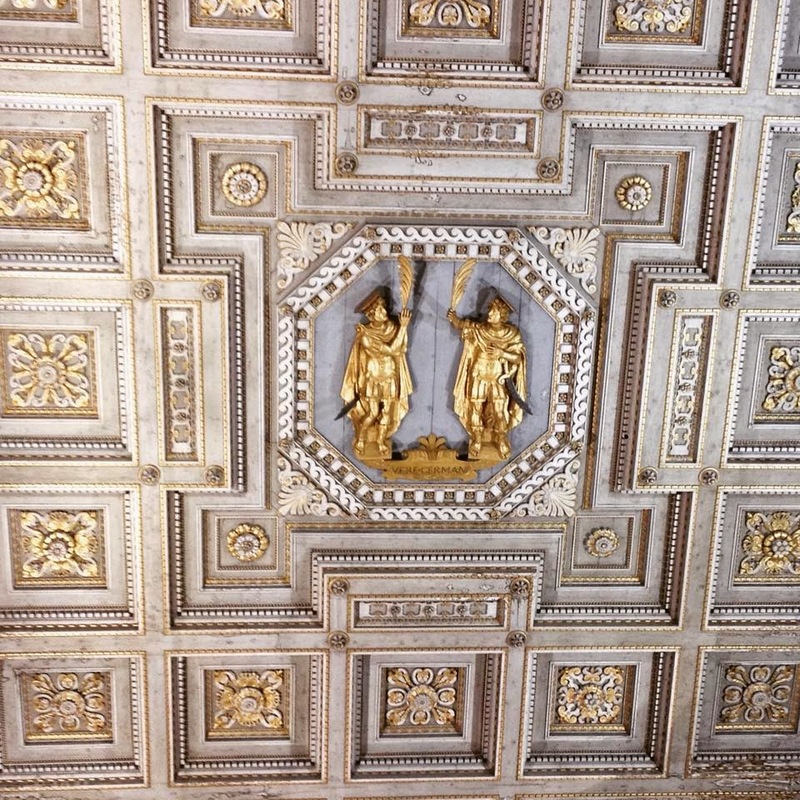 It has had an oddly squat appearance since 1830, when its upper stage, incorrectly believed to be a medieval addition, was removed. 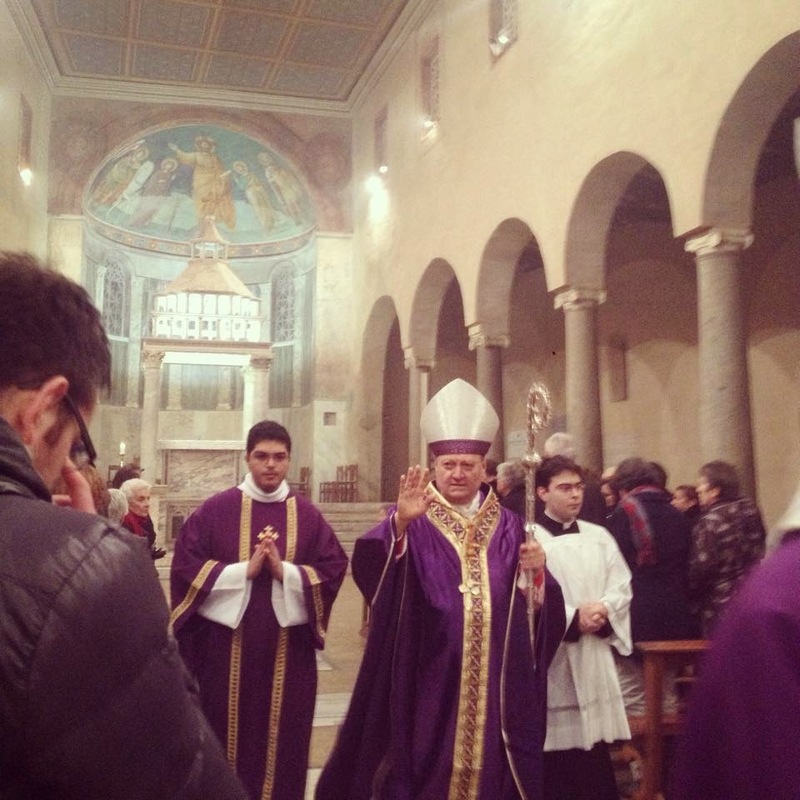 His Eminence Gianfranco Ravasi, Cardinal Deacon of San Giorgio in Velabro and President of the Pontifical Councils for Culture and for Sacred Archeology. 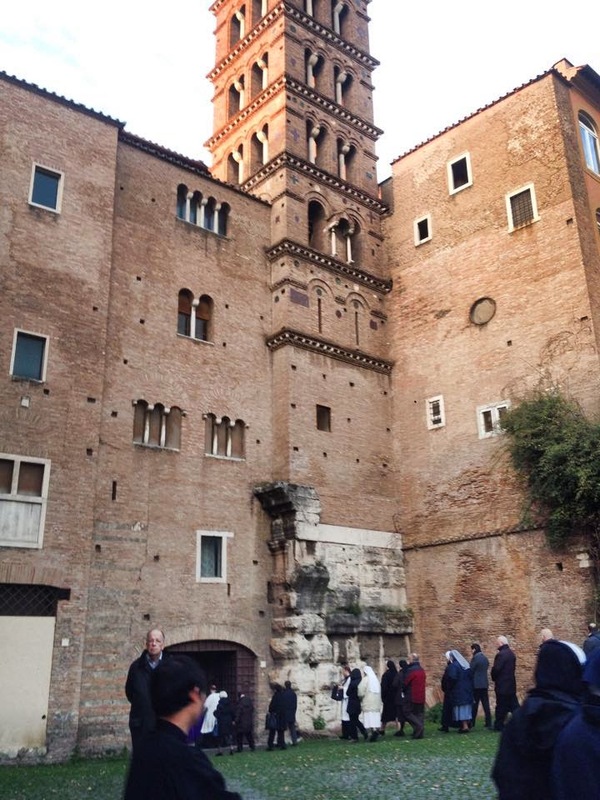 The church’s bell-tower, and a large part of the house next to it (now the Generalate of the Passionist Order,) sits on top of the podium of a large Roman temple, once dedicated to the divinized Emperor Claudius. 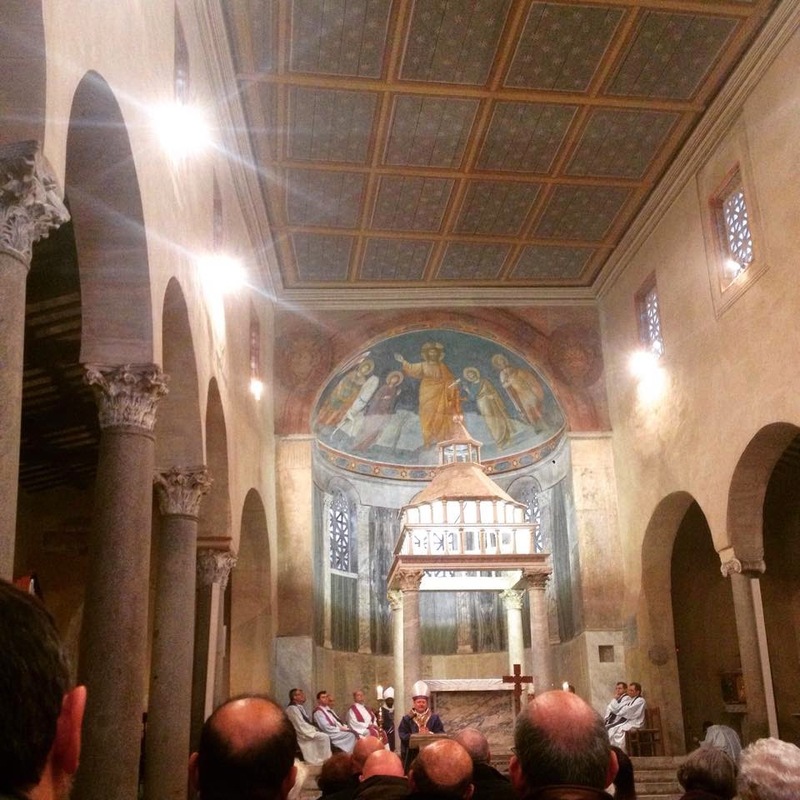 The façof the church dates from the 13th -century, and makes for an interring contrast with the 18th-century decorations of the interior, seen below. 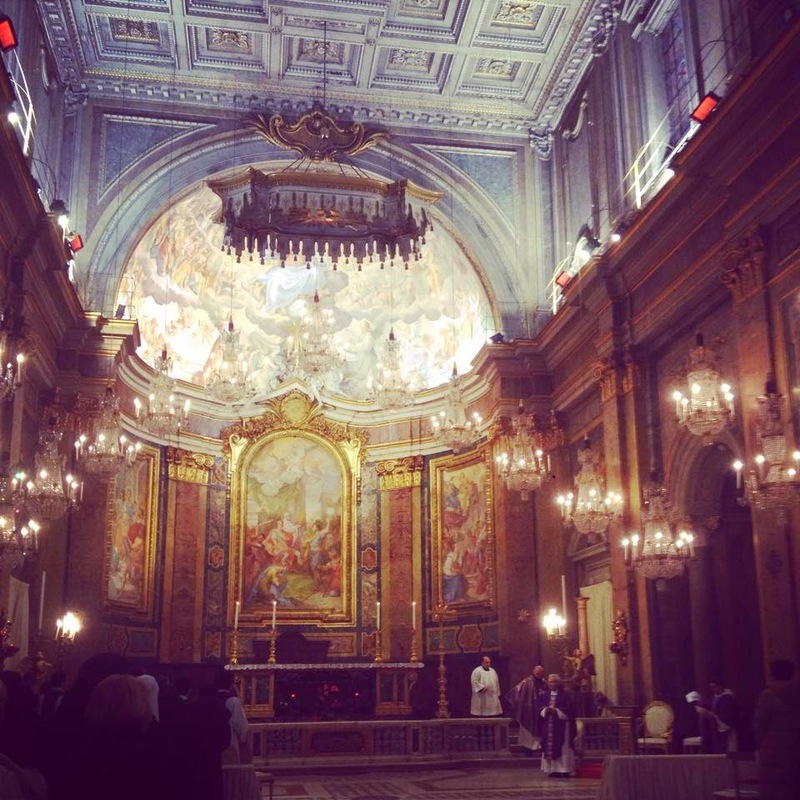 A part of the ceiling, with an image of the martyred brothers, Ss John and Paul. 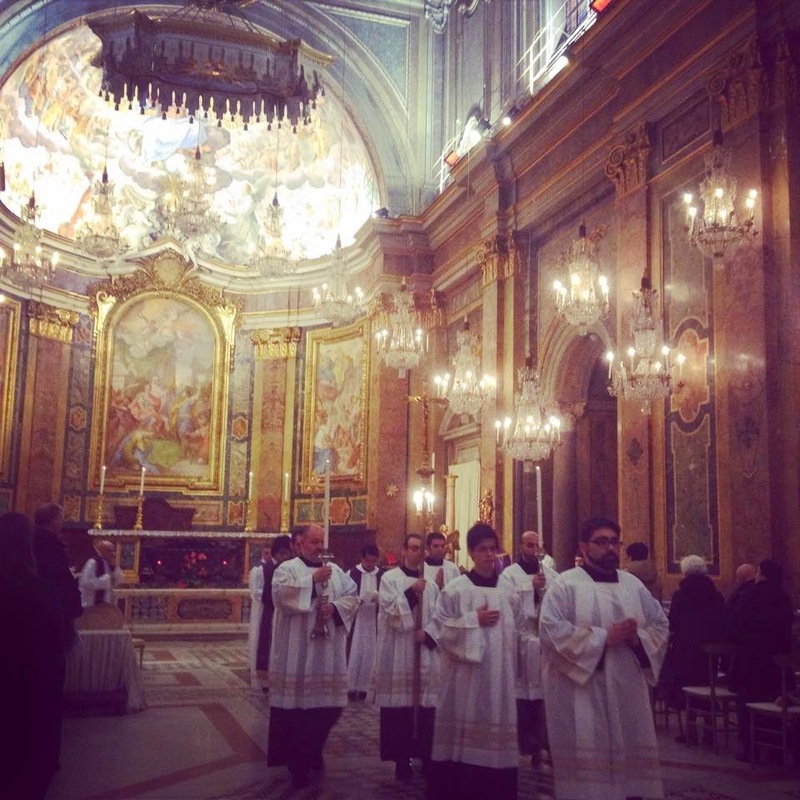 to whom the church is dedicated. 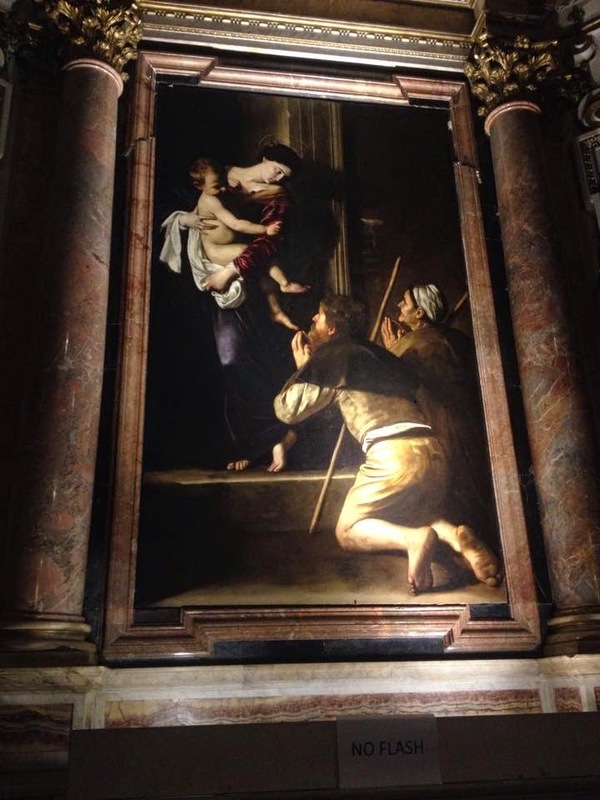 The church of Saint Augustine houses a number of art treasures, including a famous image of the Prophet Isaiah by Raphael, and this painting, the Madonna of the Pilgrims, by Caravaggio.